Have you been told you are funny? Have you ever considered becoming a stand-up comedian? Or thought of writing comedy routines? Then attend Sit Down with a Stand Up, Scott Novotny’s comedy writing program that incorporates the history and culture of stand-up comedy in Minnesota and its development since the 1970’s. Scott recently celebrated his 30th anniversary of being a full-time professional stand-up comedian. Over that time, Scott has had people laughing from coast to coast with his clean, non-offensive, very funny observations and humor. At noon on Tuesday, July 29, Scott will guide participants through stand-up comedy, improvisation, and comedy writing as well as live demonstrations of a comedy routine. Workshop participants will stay engaged by using Scott’s comedy writing formula for beginning writers. Minnesota born (Rochester) and educated (Gustavus Adolphus College), Scott has written for HBO, Dudley Rigg’s Brave New Workshop, TV commercials, Strange Brew daily comic strip, and Saturday Night Live. 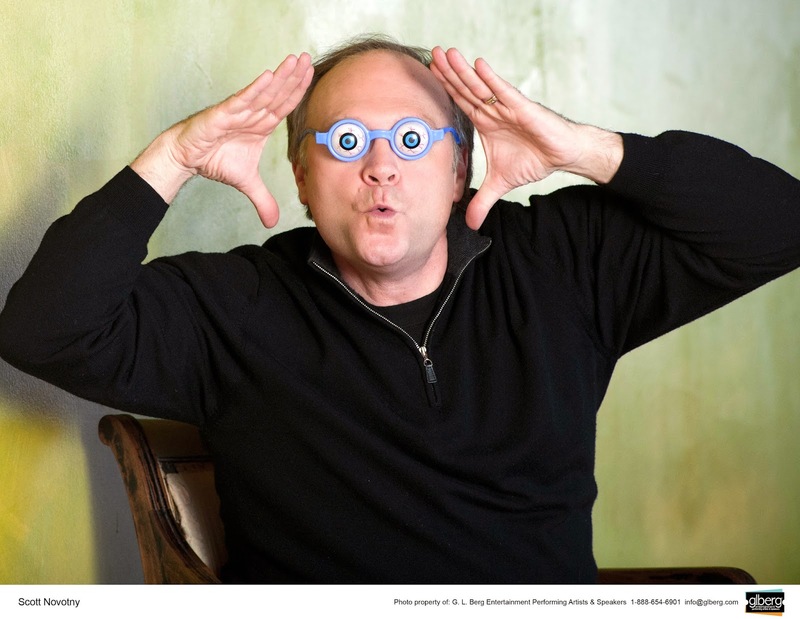 Let Scott help you find your comedy style in this writing workshop for teens, young adults, and adults of all ages! If you have any questions, call 748-7525.